Ed note: I’m partial to this topic having researched bird migration while working at National Geographic producing the Americas side of the Bird Migration map supplement (wall poster), see that here. 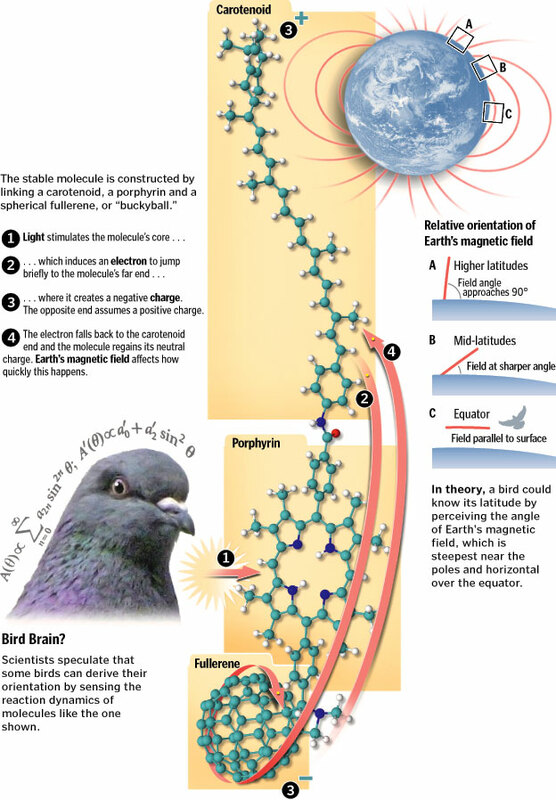 Scientists have synthesized a molecule that responds to a magnetic field like Earth’s. Similar compounds might exist in the nervous systems of birds and help them orient during migratory flight. Props to my colleague Patterson for this graphic. Read the full article. Read the chat transcript.